← No going back for the Delta, but which way forward? Policy debates sometimes seem to tragically miss the big picture. The current debate on levee vegetation in California is an example. Both sides assert noble and worthy causes—environmental and recreation interests favor trees and bushes on levees and public safety demands vegetation removal. Both sides are right. Sadly, California has found little room for both the environment and flood safety, so these noble and important causes must fight over thin strips of levee that currently provide both poor habitat and poor flood protection. Having levees without trees and brush is attractive for flood management. Inspecting levees and monitoring is easier and more effective without trees. Most levees fail before over-topping, and usually give warning (through slumping, animal burrows, or seeping water) before eroding internally and failing catastrophically, allowing some time for repair and evacuation. Emergency repairs also proceed faster without having to remove vegetation. Limiting vegetation also might introduce fewer potential problems from decaying roots or uprooted falling trees. Worldwide, countries with serious levee systems seem to keep their levees cleared, as the accompanying pictures indicate. 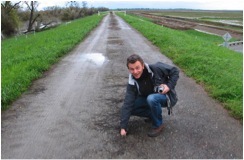 A visitor from Delft, the Netherlands, finds a minor piping hole in a Sutter Bypass levee, March 20, 2011, which would be harder to find on a forested levee. Nevertheless, there is a real dilemma here. Most levees only serve to prevent flooding for a few days or weeks in the few years with major floods. More than 99 percent of the time, most levees primarily serve recreation, aesthetic, quasi-natural habitat, and transportation purposes. 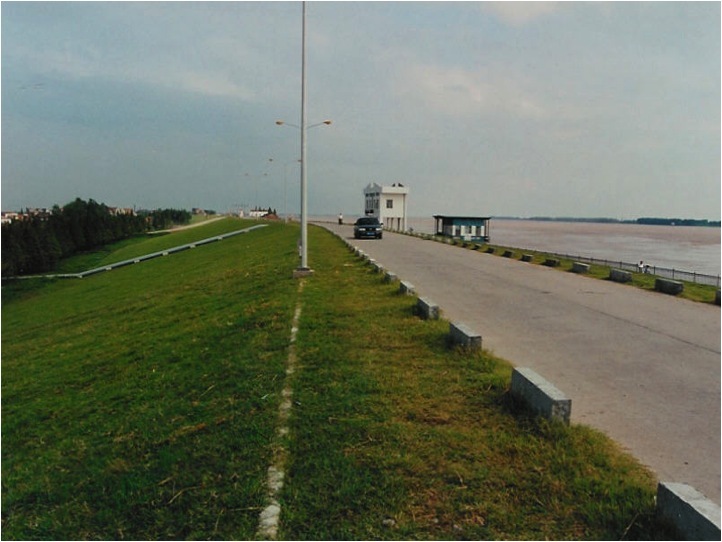 Levees with vegetation are better for most other purposes almost all the time. Only during floods does the value of having denuded levees increase, perhaps as high as the value of whatever the levee protects. If the levee protects little, then perhaps less levee reliability is better than lowering the levee’s recreational and habitat values when flooding is absent. Alas, urban levees, protecting homes and businesses from floods, derive the greatest recreation and aesthetic value from vegetation. Fire hydrants and fire departments similarly protect our homes only very infrequently, commonly inconvenience parking and use of sidewalks (except for dogs), and require continuous funding, space, and vigilance. Yet, we have somehow found a way to build our cities for both fire protection and other purposes. Levees can be constructed to serve both flood management and non-flood purposes by widening, sheet-piling inside the levee, improved toe-drains, and other means, which allow vegetation to occur on levees without substantially hindering flood protection. However, making levees multi-functional has financial costs. Nothing is free. In urban areas, where multiple purposes are most valuable, land for widening levees is most awkward and expensive to acquire. The argument that having trees on levees is vital for endangered species illustrates our poor public respect for both protecting endangered species (which should have real habitat) and public flood protection. In California, we have clearly done an inadequate job of providing effective habitat for native species and providing public flood safety (Hanak et al. 2011). As public goods, native species, recreation, and flood protection are all undervalued. Pitting these under-provided services against each other is counter-productive. 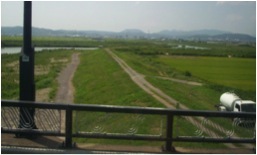 For dense urban areas, Japanese-style “superlevees” can support both flood protection and recreational objectives (including trees), as well as urban land uses. “Superlevees” in Japan are so wide (600-900 feet) that their failure is almost impossible, even in earthquakes. Even overtopping is unlikely to erode into a major levee breach (so-called “breach-proof” levees). Since these expensive wide levees are almost exclusive to dense urban areas, they can be built upon, giving both flood protection reliability and improved views from the lower stories of buildings on the levees. This reduces the need for additional land for levees and enhances property values for buildings atop these levees. The additional levee width means that trees should no longer conflict with flood protection. 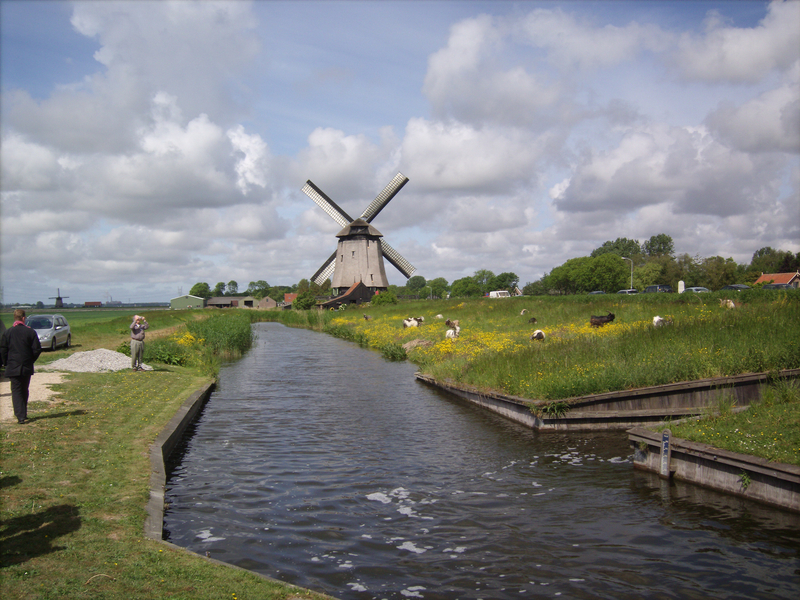 In the Netherlands, there is some effort to adopt wide “breach-proof” levees in dense urban areas as part of urban re-development projects, to make levees safer and more economical and functional in an urban landscape. In some ways this approach is similar to Sacramento raising its downtown in the 1800s (Kelley 1989). Substantially widening urban levees should also make it easier to set them back to restore at least some riparian corridor for aquatic habitat as well as regional flood conveyance capacity. Today’s rip-rapped levees, even with trees, are poor habitat for most native species, and do little for providing riparian corridors for endangered fish and birds. There is hope to have both public flood safety and trees on levees. In urban areas, this can be done with wider “superlevees” with overlying urban development. With wider levees, urban re-development can lead to stronger levees, lower flood risk, and better riparian habitat. Urban re-development also has potential to directly finance such levees. In rural areas, this trade-off will be more acute, but can sometimes be avoided where these smaller levees can be moved back from the river to create “room for the river” and riparian habitat, as well as more channel capacity to protect from floods. Both approaches will require changes in flood management and land use, and will face major cost and cost allocation challenges. But they will free both flood protection and environmental interests from a destructive argument that distracts from more important environmental and flood protection opportunities. In the short term, given the expense of removing vegetation from levees, there should be a prioritization of where vegetation removal is most important. This will allow limited financial flood management resources to be better spent on flood protection, which sometimes will be vegetation removal and other times will be structural levee improvements or other actions. Another short-term action, difficult but nonetheless important in these severe times, is to secure long-term funding for flood protection and riparian habitat. Public flood safety and the environment should not be forced to fight each other over thin strips of land. Today’s levees are typically too close to the river for flood protection, maintainability, and environmental purposes. Battelle Memorial Institute (2008), Revised Final Independent Peer Review Report for U.S. Army Corps of Engineers Vegetation Policy for Local Flood Damage Reduction Systems, Columbia, OH. California Department of Water Resources (2011), Effects of U.S. Army Corps of Engineers’ Policy on Levee Vegetation in California, a useful web site. MBK Engineers (2010), Natomas Levee Improvement Program, Phase 3 Project, Appendix B – Levee Vegetation Management, for Sacramento Area Flood Control Agency, Sacramento, CA. 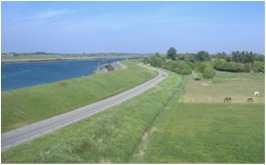 TAW (1999), Grass Cover as a Dike Revetment, Technical Advisory Committee for Flood Defence in The Netherlands. USACE (2009), Guidelines for Landscape Planting and Vegetation Management at Levees, Floodwalls, Embankment Dams, and Appurtenant Structures, ETL 1110-2-571, US Army Corps of Engineers. USACE (n.d.), “Issues Regarding Vegetation Management On Levee Embankments”, REMR Technical Note Ei-M-1,4, US Army Corps of Engineers, Waterways Experiment Station, Vicksburg, MS.
USACE (n.d.), “Vegetation and the Structural Integrity of Levees: Results Of Field Investigations”, REMR Technical Note Ei-M-1,3, US Army Corps of Engineers, Waterways Experiment Station, Vicksburg, MS.
USACE (2009), “Temporary extension of P.L. 84-99 Rehabilitation Eligibility for Non-Federal Sponsors. Implementing System-wide Improvements,” Memorandum from Steven Stockton, USACE Director of Civil Works, April 9, 2009. This entry was posted in California Water, Floodplains and tagged Army Corps of Engineers, California, economics, floodplain, floods, Jay Lund, levees, UC Davis Center for Watershed Sciences, vegetation, water management. Bookmark the permalink.